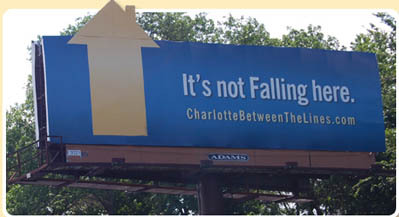 The Home Builders Association of Charlotte recently launched Charlotte Between The Lines to serve as a single source of vital news and perspective for potential homebuyers. The new website offers consumers a powerful tool for learning the truth about Charlotte’s new home market and making informed decisions about real estate. Visitors will find the latest news, facts and expert analysis for Charlotte’s housing market from local economic, real estate and home financing experts. The HBAC created the website to help consumers navigate the myriad of real estate and economic reports on national, regional and local conditions. Real estate agents are encouraged to direct clients to the site for pertinent information about the Charlotte market. Topics covered in initial expert columns include the dynamics behind Charlotte’s relative market strength, what to expect in 2009 in real estate in Charlotte and the nation, why now is a good time to buy in Charlotte, and a breakdown of the mortgage industry. Additional experts will be added and content updated regularly. This entry was posted in New Home News and tagged charlotte housing market, charlotte real estate, home builders association of charlotte on September 5, 2008 by Carol Morgan.